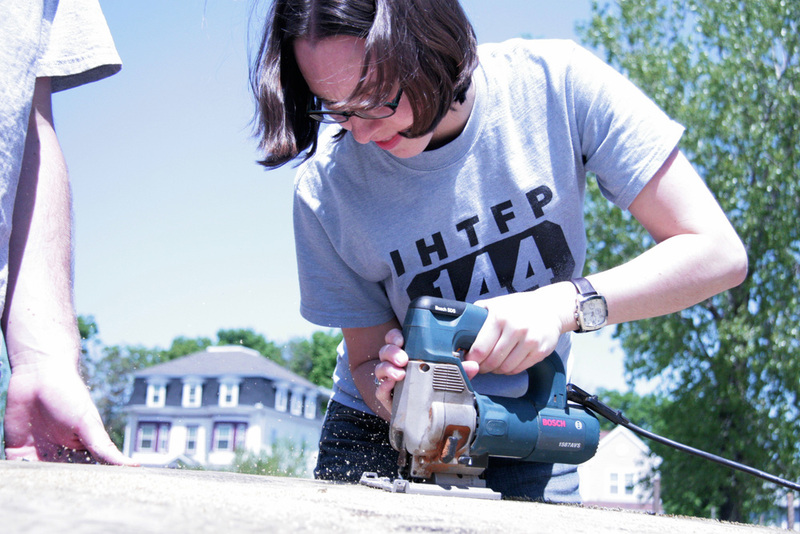 Create a composter for teenagers at The Food Project, a Boston area organization that allows youths to engage in their community by gardening and selling that food in local farmers' markets. The Food Project processes waste from local restaurants and uses the compost to fertilize their fields. The existing compost system was a basic wooden pen. Turning the compost, required for aeration, was a time-consuming process and a chore that the teenagers avoided. Six students from all departments taking an MIT Product Design Seminar. The old composter is on the left, our new one is on the right. The composter we created is designed to be easy to use and capable of processing large amounts of organic matter. The user adds new material from the top. As the material decomposes, it moves downward. In order to speed up the decomposition, there are PVC tubes (white) that provide the aeration bacteria need to break down the material. Once the compost reaches the bottom, it is removed with a sifting mechanism: a grate that the user pushes back and forth with a long handle. 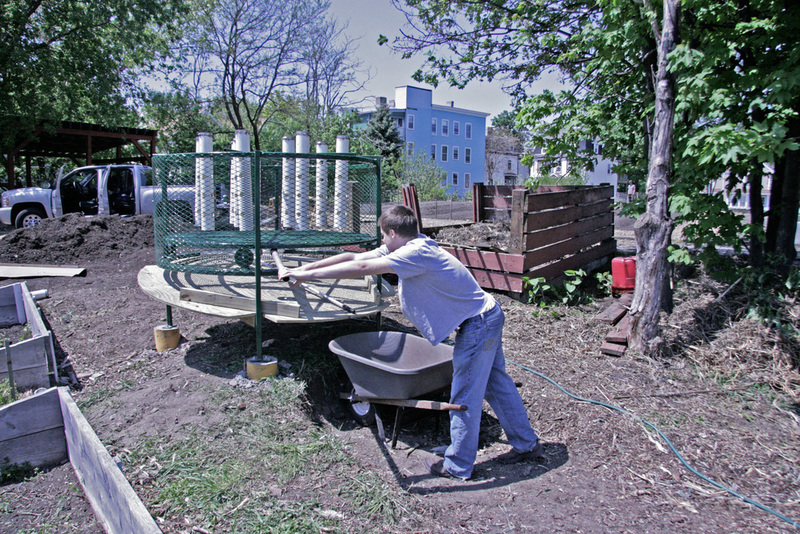 Users can then rake the compost into a wheelbarrow to spread over the garden. This process produces large quantities of top-quality compost that requires no additional sifting. 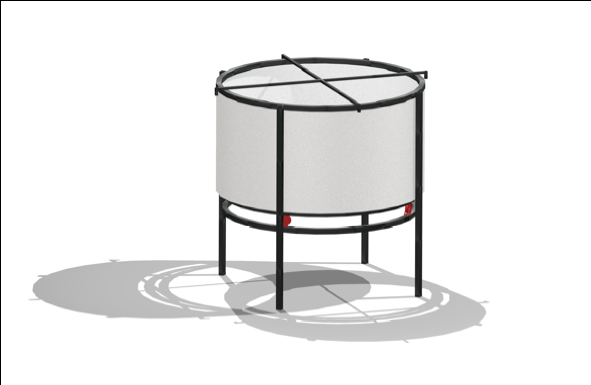 The composter was featured in Season 2 of the PBS show Design Squad. MIT filmed this video of me discussing the composter and another service design project I did for presentation at the 2008 graduation ceremony.